They just won’t stop don’t they, well we are happy for that. 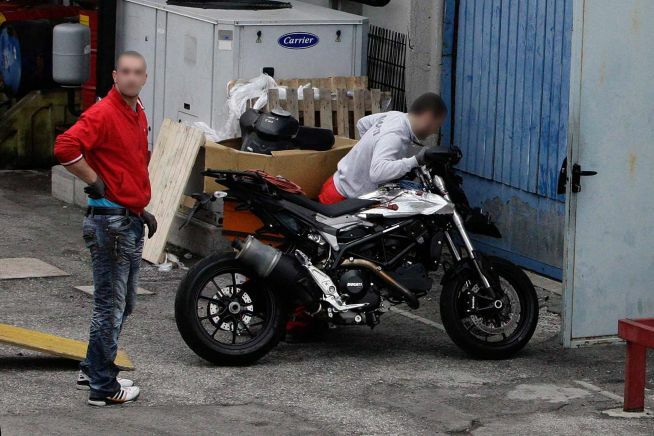 Ducati recently has been showing and testing some kind of new development for their Hypermotard which was spied recently. Reported that it was fitted with an 848 engine and a water-cooled system which means that this will be an all new Hypermotard. Surely a great news for all ducatista out there. Maybe it’s about time that the Hypermotard sees a revised updates on it’s line since it was introduced. The Hypermotard weren’t as successful as the Multistrada and Diavel. We think that, maybe if the Hypermotard can only just be more practical than what it is right now it can be much more successful. With the entry level priced around RM80,000 OTR in Malaysia, the newer version of this Italian exotic can surely boost their sales in Malaysia as more and more motorcycle enthusiast are looking to be part of the exclusive club of Ducati owners.